Our Fine Art Paper Prints are printed on Elegance Velvet by Breathing Color® This 310g, Bright White, water-resistant velvet fine art paper is made from 100% cotton fiber and is acid and lignin free. 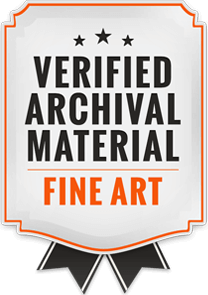 Elegance Velvet is a proprietary mouldmade fine art paper that is strong and dimensionally stable. It has a high white point,remarkable ink load capacity, and best-in-class image quality that far exceeds the limitations of virtually every paper of its kind. We print on our Epson GS6000 printers using Epson UltraChrome® GS Inks, chosen for its archival qualities that last a lifetime! 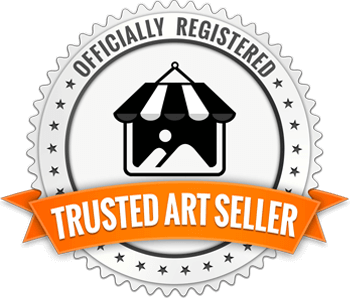 Fine Art Paper Prints are a high quality but cost effective option for artists to offer their customers. They come standard with a one inch border for your framing needs.